Recovered from the tool shed at FYC by Norman Raine in 1990. Previously was the Daily Gleaner Trophy to the Fredericton Boat Club Top Speed Boat Racing Driver of the Year. When put back into use it was for several years sponsored by Olands Brewer. 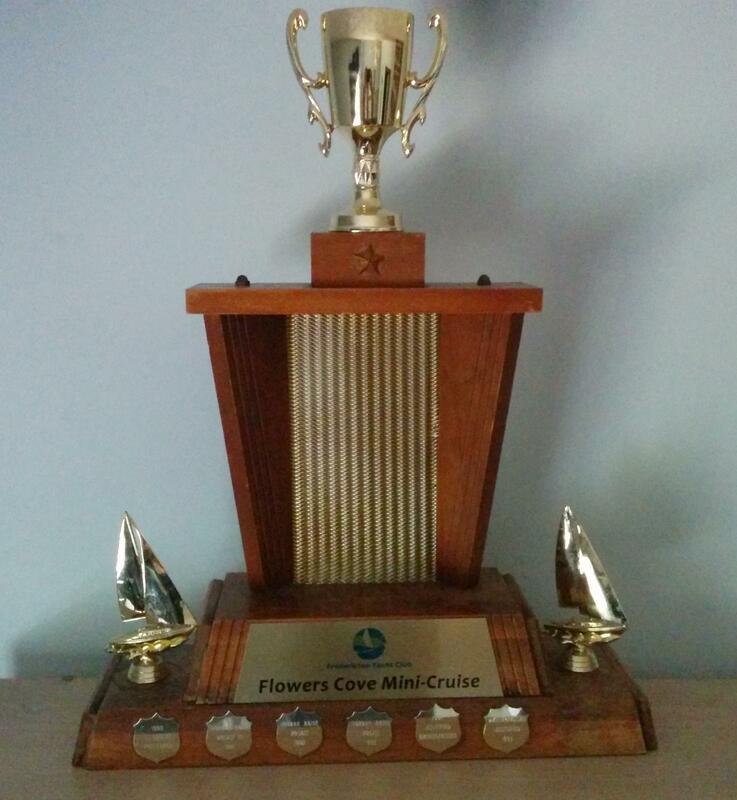 The trophy is now for a two day race which is to Flowers Cove, stay over night and race back the next day. Each race is sailed on the Bermuda start format.